You are here: Home / Lamb / Lamb Burning Love – a great way to use up leftover roast lamb! Lamb Burning Love – a great way to use up leftover roast lamb! Today I’m sharing one of my mum’s delicious dishes, Lamb Burning Love. All through my childhood it was just called Burning Love (Brændende Kærlighed) but after a little research today I discovered that this traditional Danish peasant dish is made with bacon not lamb. 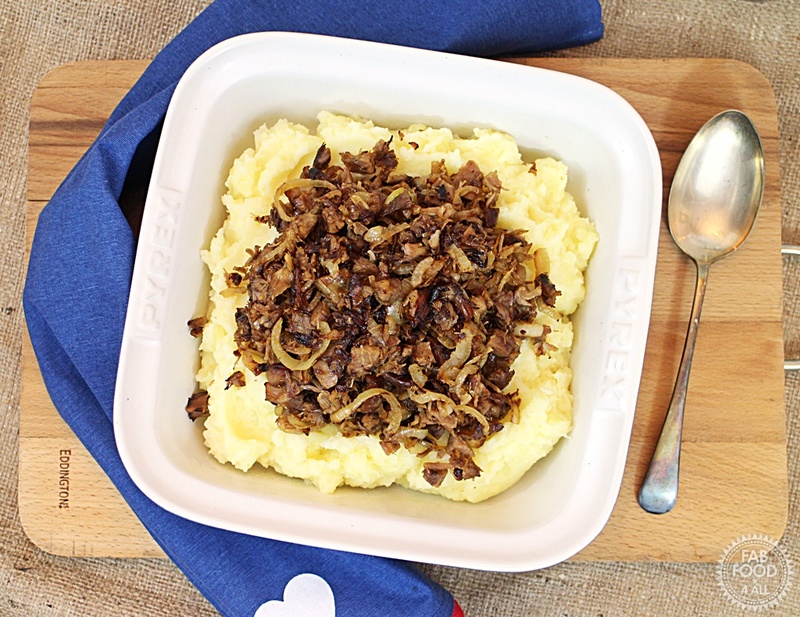 There is also another popular Danish peasant dish called “Bikesmad” which is similar to hash made with leftover roasted meat and potato. So it appears that when mum came to England she did a bit of fusion cooking between these 2 dishes and came up with this anglicised version of Burning Love using lamb! I’ve been working with Simply Beef and Lamb as part of their #LivePeasant campaign to encourage home cooks to adopt a more rustic approach to cooking and enjoy the current trend for peasant food. This Lamb Burning Love couldn’t be simpler. I think the best way to roast lamb is in a slow cooker. There’s no fuss, no mess and you can just pop your leg or shoulder in with no additions, switch on and come back a few hours later to the most delicious succulent lamb. After making Lamb, Vegetable and Lentil Soup with Cabbage (fab recipe) the other day I just popped the rest of the lamb shoulder into the slow cooker in order to make this dish the following day. I’ve usually just used traditionally roasted leftover lamb but the slow cooked lamb took the Lamb Burning Love to new heights of deliciousness! So you’re all wondering what exactly is Lamb Burning Love, well it’s simply fried onions and leftover roast lamb served on a bed of mashed potato. Apparently the name Burning Love stems from the fact that it had to be served piping hot and the original dish dates back some 200 years. We enjoy it with lashings of ketchup but you might like to be more traditional and serve it with mint sauce which would also go! We hadn’t had this dish in far too long but it’s definitely going back on the meal rota as its a winner on both taste and speed! The family’s plates seemed to be cleaned in minutes! If you’re having roast lamb this Easter then this is the perfect dish to use up those leftovers! For more information about the #LivePeasant campaign do check out Simply Beef and Lamb on Facebook plus you’ll find fellow blogger’s #LivePeasant recipes in my post for One Pot Minced Beef Hotpot. NB: This is a commissioned post for Simply Beef and Lamb. 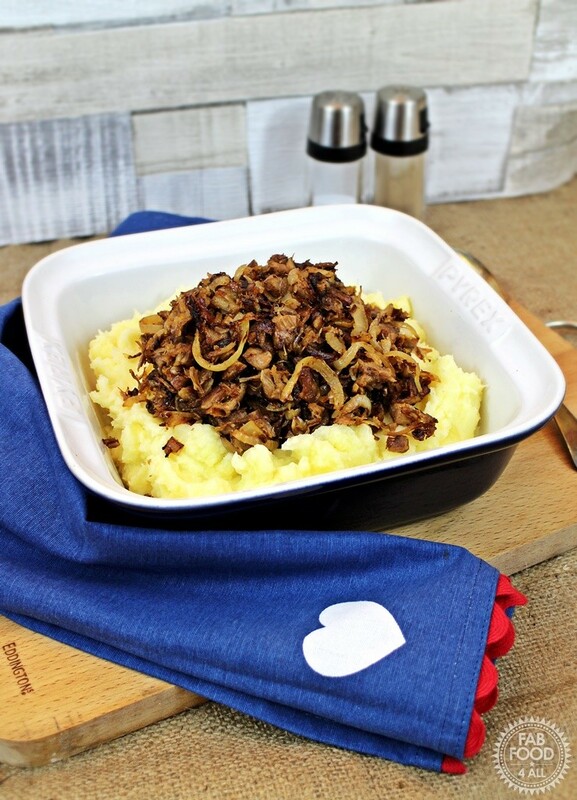 Lamb Burning Love is the perfect quick and easy dish to use up leftover roast lamb. 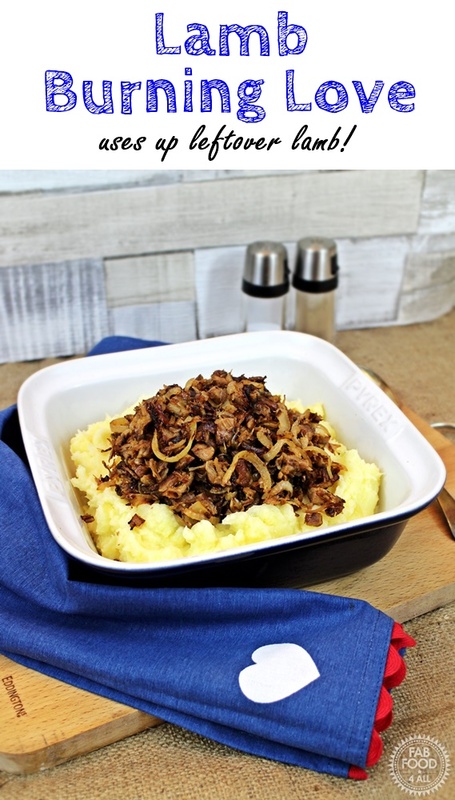 Fried onions and lamb sit on top of a bed of mashed potato, simple Danish inspired peasant food! Cook the potatoes in boiling water until cooked (about 18 minutes). Heat the oil in a large frying pan over a medium heat and fry the onions until starting to go golden. Add the lamb, combine with the onions and fry for another 5 minutes or until heated through. Mash the potatoes and beat in the butter, milk, salt and pepper. 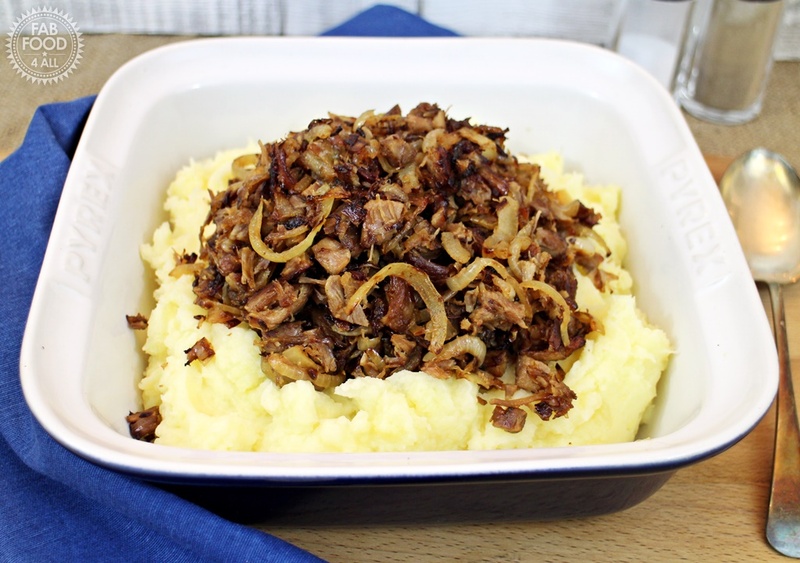 Place the mash in a serving dish and top with the fried onions and lamb. I love the sound of this although we never ever have leftover lamb ….. This looks so good! Great Sunday recipe :). We’ll be trying this one out. This looks lovely; traditional, tasty comfort food.